Pest description and damage Adults are dark, shiny blue, and about 0.25 inch long. Larvae are black and about 0.25 inch long at maturity. Adults chew holes in leaves while the larvae feed in groups and skeletonize foliage of alder, poplar, willow dogwood and other hosts. They are capable of defoliating trees, but only rarely do. More often they are found in smaller numbers scattered throughout the canopy. Biology and life history The insects overwinter as adults and become active in spring. They may be seen in large aggregations in spring as they emerge from hibernation. Adults feed on foliage before laying dull yellow eggs on leaves. Larvae usually are present in June and July and pupate in August. There is one generation per year. 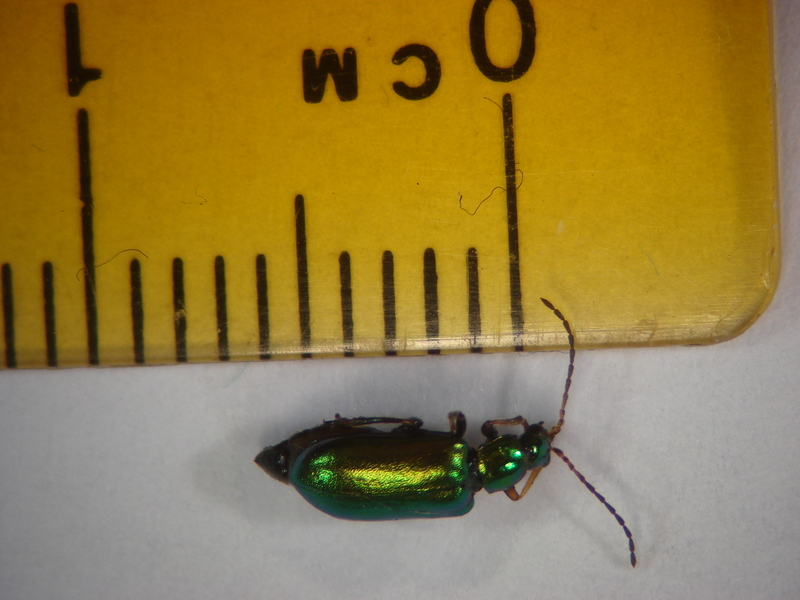 Pest monitoring Watch for dark, metallic adults that emerge in the spring. If the number of adults is low, damage will be minimal. Later in the season, check abundance of the larvae. Control is not usually warranted in landscapes. This insect is generally under effective biological control since it is not commonly found in abundance. The fungus Sporotrichium globuliferum, a tachinid fly, and predatory stink bugs are reported to be natural enemies. As willow and red osier dogwoods are planted in riparian zones, there is a potential for predator populations to build up in these settings.